"Every complex problem has a simple solution which is usually wrong. Let’s make a difference, not just a point." Bill Spence is Senior Counsel and concentrates in the areas of civil litigation, international arbitration and the Firm’s relationship with China. He has been traveling to China since 1987, lived in Shanghai with his family in 1994 while he taught law at the East China Law School and has represented some of China's largest corporations in litigation and arbitration matters. He has conducted arbitrations in Hong Kong and large litigated matters in the United States District Courts on behalf of large Chinese state-owned enterprises. He also represents U.S. companies doing business in China. He has presented to several Chinese government agencies about various aspects of American law. Between 1995 and 1998, he was one of two foreign advisors to the State Pharmaceutical Administration of China and in 1998 was appointed counsel to the Dalian High Tech Industrial Zone. Bill was appointed co-chairman of the Sister Cities China Committee by Mayor Daley in 1997 and has led several business delegations on more than 40 trips to China. Bill and the Firm have assisted in the training of Chinese lawyers through their participation in the China International Lawyers Training Center in association with the East China University of Politics and Law in Shanghai. He was a founder of the China Roundtable within the Chicago Council on Global Affairs. Bill has given numerous presentations of legal issues related to China and has spoken at the World Economic Forum China Summit in Beijing on “Rule of Law” related issues and at the Aspen Institute seminar on Globalization and Asian Values. He is Co-Chairman of the Chicago Sister Cities China Committee, was a founding member of the board and president pro temp of the Chicago China Economic Development Center, a member of the Chinatown Museum Advisory Board, the Chinese American Service League Advisory Board, and was a member of the study group which produced, The Global Edge: An Agenda For Chicago’s Future. He is the author of "A Practitioners View of Chinese Legal Developments", Loyola University Chicago International Law Review Volume 3, Issue 2 (Spring/Summer 2006) 157-164. Before joining Freeborn in 1990, Bill was a law clerk to the Hon. Robert E. English, on the Illinois Appellate Court and he served for eight years as an Assistant U.S. Attorney in the Northern District of Illinois where he won 29 of 31 cases, 22 of which were before juries. William A. Spence, Chairman of Freeborn's China Practice Group was quoted in “100,000 Strong Initiative Gets Boost from Chicago Ties to China,” an article published in the May 12 issue of Voice of America. William A. Spence, a Senior Counsel at Freeborn, made a presentation to the Jackson Hole Center for Global Affairs, as part of its Global Business Roundtable series. 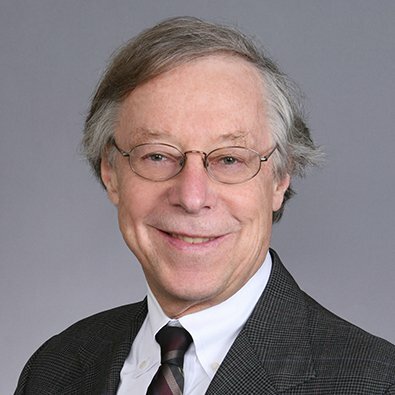 William A. Spence, a senior counsel at the firm and Chairman of the China Practice Group, participated in the December session of the Virtual Energy Forum, an online conference that provides businesses with information on how to reduce energy costs. Brian A. Smith, Partner, in the Firm's Corporate Practice Group and William A. Spence, Senior Counsel, in the Firm's Litigation Practice Group, were guest speakers at The Consulate General of China in Chicago & the Investment Promotion Agency, Ministry of Commerce (CIPA) Delegation Luncheon. Bill has taught law in China and lectured to government agencies about various aspects of American law. He was appointed as one of two foreign advisors to the State Pharmaceutical Administration of China in 1995 and legal advisor to the Dalian High Tech Industrial Zone in 1998. Additionally, he has been Co-Chairman, Chicago Sister Cities China Committee appointed by Mayor Richard M. Daley and a Member of the Sister Cities Executive Committee. He has served both as an arbitrator and litigant before arbitration panels in a wide variety of contract disputes.